Baccarat deposit bonuses in online casinos are difficult to find. Baccarat is arguably the game with the best value for the player so it makes sense that few casinos allow their welcome bonus wagering conditions to be met by playing baccarat. But there are some that do, and those are the places where the baccarat high roller will visit and will get the bonus to add to an already very rewarding game. Here is a list of the online casino bonuses that are redeemable by playing baccarat. Further explanation is below. Cloudbet casino accepts Bitcoin only, and they’re giving a 100% bonus up to whopping 5 BTC. For every 800 loyalty points, 0.01 BTC will be released into your account. Loyalty points are earned by multiplying your stake with game difficulty score. Baccarat has a low score so earning points takes a while, but this is still the richest bonus for baccarat. 5Dimes is still our favorite place for playing baccarat, because the Player bet actually has the edge in their 5Dimes Bonus Casino during the happy hour on Mondays. This is the only such case, not only online but in the world. It’s THE best baccarat you’ll ever get to play. Bet365 have New Player Bonus 100% up to €100 (20x rollover Bonus + Deposit) or VIP Bonus 50% up to €500 (30x rollover Bonus + Deposit). Choose one. Baccarat will contribute 25% to rollover. So for the New Player Bonus you’ll have to stake a total of €16.000 on baccarat in order to withdraw the bonus. For the VIP Bonus you’ll have to stake a total of €180.000 on baccarat. US customers not allowed. Mansion Casino have a Welcome Bonus 100% up to $/£/€500, or a High Roller Bonus 50% up to $/£/€5000. Baccarat will contribute 20% to rollover requirements. William Hill have 20% contribution and 20x rollover on their range of 1st deposit bonuses from 150% up to £150, to deposit £3000 get £1000. 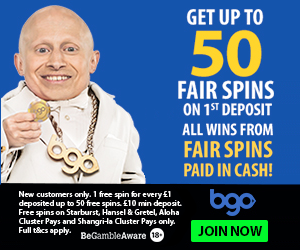 Then there is also the 2nd deposit bonus 60% up to £500, with 15x rollover, which is excellent value. VideoSlots has a bonus for which any of their nine baccarat games contribute only 10%, but the bonus is very good as it has 20x rollover requirement. Bonus is 100% up to €200 and despite the 10% contribution this is our favorite. Boyle Casino also have 10% contribution but there is a three-step welcome bonus up to £/€300 and the rollover is only 20x. They got live baccarat and the Playtech table game. Same goes for Paddy Power and their three-step bonus up to £/€500, with 20x rollover and 10% contribution on either live baccarat or one of two table game versions. Vegas Palms have a 10% contribution on live baccarat or any of the five table game versions, and a 40x rollover, but the bonus is 200% up to $/€100. Meaning, you only have to deposit $/€50 to take part in this promotion and to start playing baccarat with $/€150 in your account. Slotter Casino have 15% contribution and 30% rollover, and the welcome bonus package is worth up to $1300, first level being 100% up to $500. There is only one baccarat game, no live dealers. Lincoln Casino are the place for baccarat high roller as they have $5000 in welcome bonuses, 10% contribution and only 20x rollover. ReelSpin Casino have 15% contribution and 30x rollover for 100% up to $888 welcome bonus. 7Sultans have 40x rollover and 10% contribution for their 100% up to $/€500 welcome bonus. Same goes for Royal Vegas Casino, but their bonus is up to $/€1200. Same goes for PlatinumPlay Casino and their $/€1000 bonus. Leo Vegas have 10% contribution but their welcome offer is nice and they got a lot of live dealers and table baccarat games. 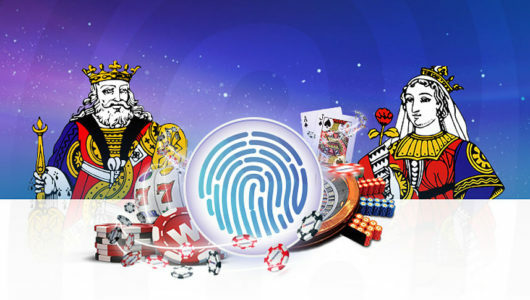 Maple Casino have 10% contribution and 40x rollover on their 100% up to $/€500 bonus.